When participating in the Composites UK North West Regional Roadshow back in September, Safran Nacelles, a leader in aircraft engine nacelles, made several connections with the industry, which have resulted in some interesting projects going forward. Firstly, a connection was made with the University of Liverpool’s Formula Student team, who had a table-top display the event. Safran has since assisted with them with their work. Formula Student takes place in mid-2018 and is an international competition, in which top engineering students design, build and race a single seat racing car. Four of the University of Liverpool’s team spent three days with Safran. “I am confident that the working relationship will grow stronger and stronger and last for several years. 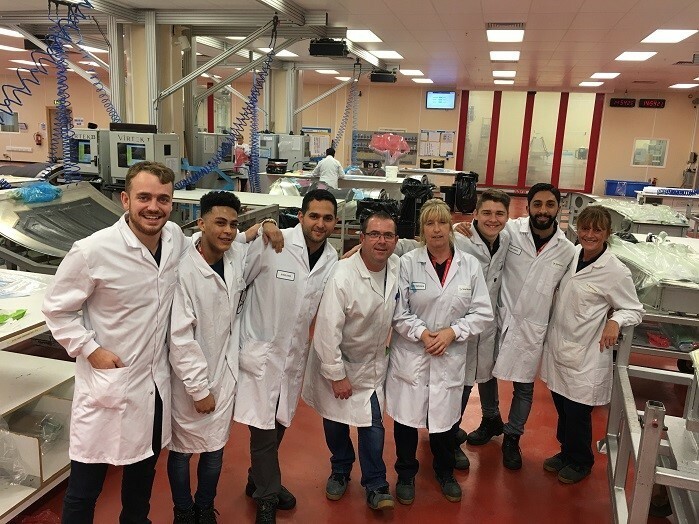 We are hoping to send a few of our apprentices to Liverpool University in the next few weeks to carry on the work we have started,” said Stephen Dyer, Safran’s Trainer for Composites. Safran’s participation and case study presentation Working to the Future through Apprenticeships at the event also resulted in an on-site meeting with Mac Measuria from JNV Composites and Pete Redfern from Tameside College, who were looking to set up a training school similar to what is already in place at Safran. “It is worth promoting some of the working relationships that can be established through networking at these conferences and the benefits all parties can take from these new working relationships,” added Mr Dyer. Safran is a leading international high-technology group with three core businesses: Aerospace (propulsion and equipment), Defence, and Security. Operating worldwide, the Group has 70,000 employees and generated sales of EUR 17.4 billion in 2015. Safran Nacelles is a leading supplier of aircraft engine nacelles, with more than 17,000 in service, logging over 100,000 flight-hours per day. It supplies nacelles and components for all segments of the aviation market, from business and regional jets to mainline commercial jets.